Cone crusher is widely used in the fields of metallurgy, construction, highway, water conservancy and so on. It has the feature of large crushing ratio, high working efficiency, low power consumption, and the produced particle size is uniform that suitable for the medium and fine crushing of various kinds of rocks and stone. According to the different working principle and the particle size, cone crusher is divided into many types. How to choose the suitable type? Here Luoyang Dahua will give you the advice. 1. Customer site condition Customer site condition includes on-site climate, such as the average temperature, altitude, water, etc. Equipment installation environment (indoor or outdoor), processed materials source, type, and harness, as well as the site power capacity, voltage, and frequency. 2. Equipment technology factor Cone crusher is used in the secondary and tertiary stage after the crushing of jaw crusher and gyratory crusher. 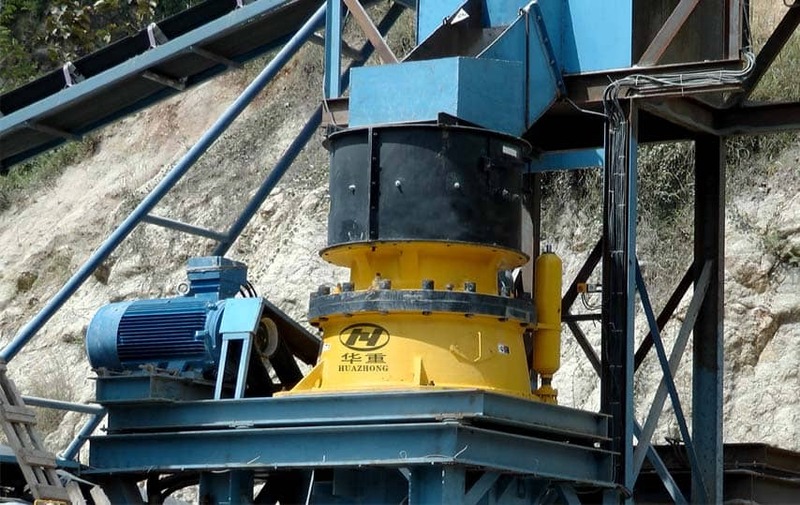 If the customer uses cone crusher directly, the crushed raw materials must be screened to remove the extra-sized aggregates. 3. Equipment performance factor We should consider the raw materials properties, the size range of materials, the expected material planning and processing capacity of the users.